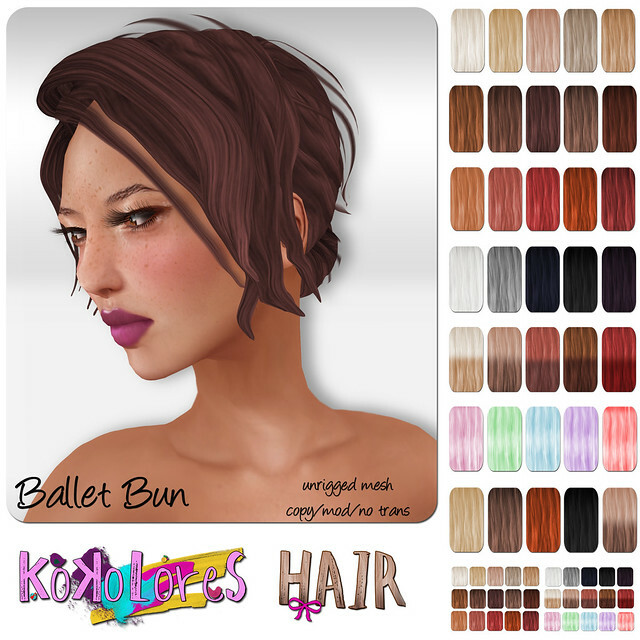 KoKoLoReS is proudly announcing the release of two hairstyles! The styles are original mesh, both unrigged. They come with a resize script that allows you to size each axis seperately, colours are changed by hud. Each package has five colour choices, there are blondes, browns, reds, B&W, ombres and funkies to choose from, as well as a mixed pack and a fatpack option. Demos are available at the mainstore!